--> hot for up to 12. Vacuum seal keeps liquids and carbonation fresh. Double Wall Insulated Eliminates Condensation. 100% BPA and Phthalate Free. Made from double-walled non-leaching and non-toxic 18/8 stainless steel. ★ This custom made design is printed on both sides of the soda bottle / water bottle, which allows the design to be on display as well as seen by the person drinking. 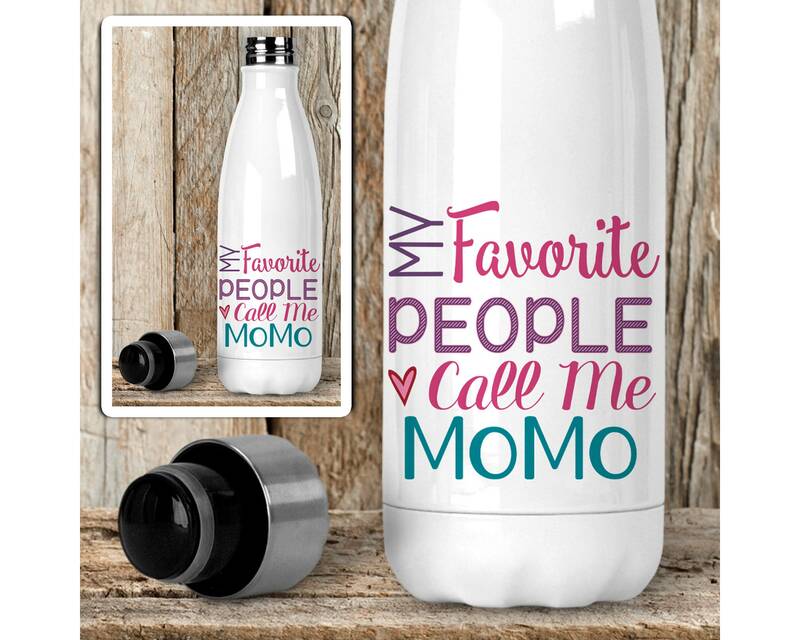 ★ Permanent, vibrant, beautiful custom inked design that is bonded to the soda drink bottle professionally with a high heat press, and will not crack or peel off. This design is not created with stickers or vinyl. Rush or Deadline orders: Please contact me ★ before ★ placing your order, or choose one of our rush options at checkout when available. There will be additional costs for rushing the order processing time and/or for any expedited shipping. I welcome custom orders or change requests! :) With 17+ years experience in design there is rarely a request I can't accommodate. Please contact me ★ prior ★ to placing your order if you wish to make changes to the mug design in any way. Changes may require additional fees. 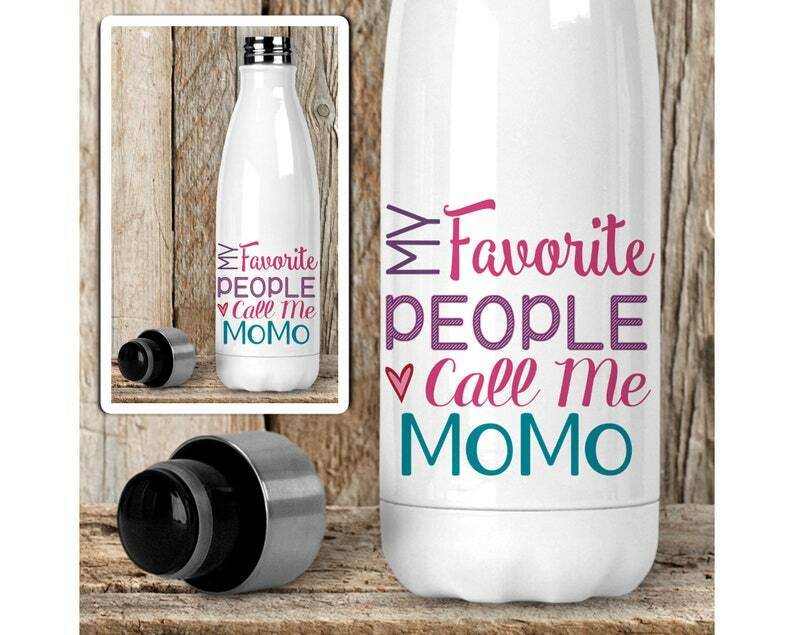 This soda bottle / water bottle / drink bottle design is professionally created and printed in the USA. Each item is made after receiving an order, processing time is needed prior to shipping. Our current processing times are shown in the product listing. Due to the hand made and custom designed nature the items can vary slightly from the picture shown. Monitors may display colors differently than real life. Bought as a gift, and it was just as pictured. Our great-aunt liked it! I love that the design comes on both sides of the cup, most companies only do one. Came with lid. Very shiny finish. Extremely pleased! This item arrived even before I expected it. Looks great. Communication to/from the seller was excellent. Customer service was awesome. Artwork is copyright to Groovy Giftables and its licensors. It is illegal to make counterfeits or reproductions of any art designs or our products. All art designs are copyright protected and should not be copied, modified, or redistributed in any form without legal permission from Groovy Giftables. Groovy Giftables is a USA officially registered Trademark. I welcome custom orders, with 17+ years of design experience there is rarely a request I can't accommodate. :) Please contact me to discuss options and pricing. All custom orders must be paid in advance of any design or processing. At no additional costs I allow small changes as needed, and up to 2 design reworks for custom orders to allow you to input on a finalized product you can be happy with. Additional changes may require additional costs. Please double check any spellings, or personalization details prior to submitting your order. It's not always possible that I will catch errors, especially with name spellings that can vary. I do try to be vigilant, but cannot be responsible for mistakes provided with an order. Our prints are manufactured on items that were fabricated with a specialty coating for permanent ink bonding. Supplies for this type of printing are limited and we use the best available to us. Please understand, on supply items such as these, small marks from the fabrication process may show on metals or coatings. This does not affect the print, durability, or use of the item. All items are printed in the USA by (me) Groovy Giftables, the blanks may be imported or made in the USA. All items: Non abrasive and Non bleach cleaning for best print preservation. Glass Cutting Boards: Hand wash. Ceramic: Top rack dishwasher safe. Stainless Steel / Aluminum (even white coated): Metal items can *not* be microwaved. Hand wash recommended. Our products are made to order, and are only created after an order is received. Processing times will be shown on product pages prior to placing your order, along with an estimated delivery time. We strive very hard to meet all estimated time frames. Shipping delays, while extremely rare, are out of our control. INTERNATIONAL ORDERS: You're responsible for all fees for the items being delivered. It is not applicable on any INTERNATIONAL ORDER for us to collect your VAT, TAX, CUSTOMS, or ANY INTERNATIONAL FEES due on orders for countries outside the USA. These fees, if any, will be your responsibility to pay upon delivery. In certain circumstances such as for delivery or address issues, large orders, order shipped to community addresses, apartments, offices, or similar may be shipped with signature confirmation required for international orders or orders within the USA. Or fill out the slip left by your carrier, or you can call the USPS or your mail carriers office to setup a re-delivery as well. If your monitor is not calibrated to display colors correctly what you see and what is actually true for the colors you receive may be different. We do calibrate our monitors and carefully color manage our designs to give prints that are as accurate to the intended design as possible. Because images on monitors are shown through a back light, colors may differ slightly on prints than what you see on your monitor. The substrate that the design is printed on will impact the color as well - such as fabric, metal, ceramic, wood, etc. Inks are transparent and will print more vibrant and bold on white, white coated, or light color items. Example: on darker, metallic, or glass - prints will be more muted due to the material of the the item itself. Items are made to order or custom made and very often we begin parts of the process for production very soon - even sometimes immediately - after they are received, due to this we cannot accept cancellations. We appreciate your understanding.